Now with larger pictures and only two columns! Is there a proper name for these rides? All I can think of is kiddie rides but that doesn't seem to be the proper name. At least my google searches for kiddie rides turns up unsatisfactory results. Okay, now the pictures are bigger. Not sure I like this template though. I saw one today that had the name of the rental company, Aardvark Amusements, spray-painted on the side. 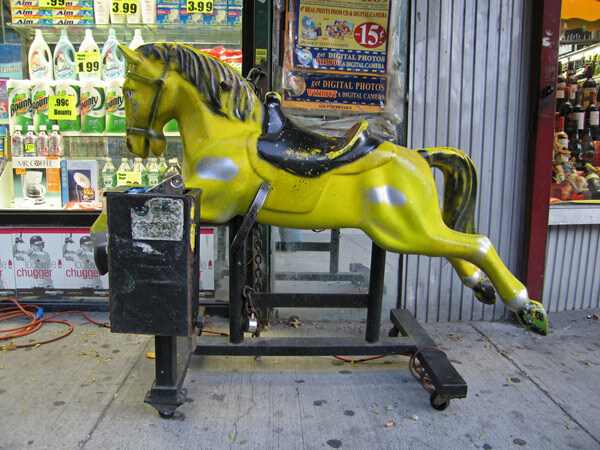 Aardvark calls them kiddie rides. I guess kiddie rides is it. does the other one work? 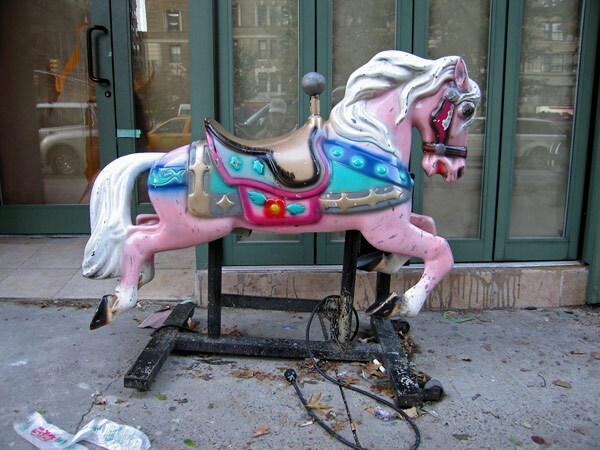 I have a horse just like the pink one, wanting to sell it, how muc are they worth, mine is a 1992 model works great and in great shape?